For those therapists and counselors wanting to save lives among those who experience suicidal ideas and feelings, this workshop provides a range of effective techniques. John Henden has specialized in this area for some twenty three years and has taught thousands of practitioners in nearly twenty countries. His internationally best-selling book on the subject is written in an easy-to-understand-and-apply style. The book, ‘Preventing Suicide: the Solution Focused Approach’, is shortly to be translated into both Japanese and Russian. Attendees can expect to learn about 6 key specialist SF techniques and will have an opportunity to practice some within the safety of the workshop. Suicide is a great problem worldwide, with over a million taking their lives every year. It is a tragedy, especially across the developed world, that many approaches within mental health services do not deliver on prevention targets. The SF approach has a great record in being highly effective and is a contributor to the international Zero Suicide movement. 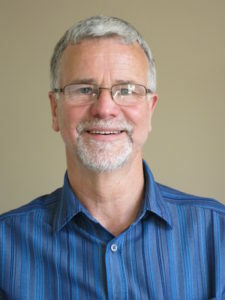 JOHN HENDEN is an international trainer, author, SF therapist and performance coach. For over 20 years, he worked within UK NHS mental health services. He delivers training courses from a broad portfolio. John has a background in psychology, is a qualified counselor and a member of the British Association of Counseling and Psychotherapy (BACP). Also, he is a regular presenter at EBTA conferences and was a founder member of Solutions in Organisations Link-up (SOL). John delivers 2-day and 3-day intensive SF workshops to many and various organisations. His specialist SF areas are: Suicide Prevention; and, Recovery from Severe Trauma & Stress. This workshop deals with the former. The new edition of his book, ‘Preventing Suicide: the solution focused approach’, which has a chapter on Zero Suicide, will be available at the workshop. As a trainer and workshop facilitator, in adopting an action-learning approach, John has an energetic and captivating teaching style, which enables participants to remain both alert and involved throughout. His alternating use of short presentations, audio visuals, paired and small groupwork, ensures not only all learning styles are catered for, but participants find the training both enjoyable and worthwhile.